His body was wheeled into his home in a shroud that was soaked in blood. Twenty-one-year-old Zahid Rashid Ganie was one of the civilians who were killed on Tuesday when the government forces engaged with a militant holed inside a multi-storey palatial house at Durbug village of Chadoora in central Kashmir's Budgam district. While the Kashmir police claimed that Ganie was caught in the crossfire, his family alleged that Ganie was targeted upon during the encounter. Ganie breathed his last at the Srinagar’s SMHS hospital on Tuesday. But the ordeal for Ganie's family was yet to be over. Zahid’s cousin who was carrying the body home was alelgedly detained by the police and allowed to proceed home only after the encounter was over. When the family protested against the police for preventing them from taking the body home they were allegedly fired upon with tear smoke shells and women were molested. Zahid’s grieving father, Abdul Rashid Ganie, whose eyes were puffy, was inconsolable. He wept while his relatives and neighbours tried to console him. He spoke in hushed tones and sobs; his head cupped by his elder brother in his hands as the family lamented the loss of their lone son among his five daughters. A Class 12 student, Zahid used to help his father Rashid at his shop. The lawn of their house had turned into a funeral site on Tuesday as hundreds of people streamed into the marquee that was pitched outside the house. The shrieks of the women could be heard even from a distance. 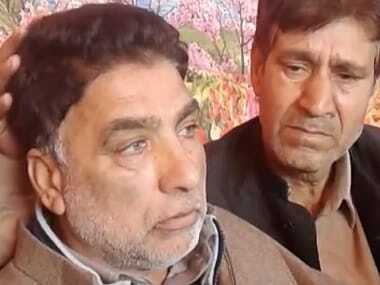 Zahid’s uncle, Fayaz Ahmad Ganie, said that they received the information of his nephew being hit by a bullet near the encounter site at around 10 am. “We rushed to the spot and took the boy to the hospital at Srinagar where he breathed his last. But as we were returning home, we were taken to the police control room and the body was kept there for hours. It was only after the encounter was over in Chadoora that we were allowed to proceed towards our house," he said. Ganie alleged that the police resorted to the use of tear smoke shells to disperse them and even thrashed the family members including the women. The encounter at Durbug village of Chadoora in central Kashmir's Budgam district started at around 4 am on Tuesday and lasted till 5 pm. 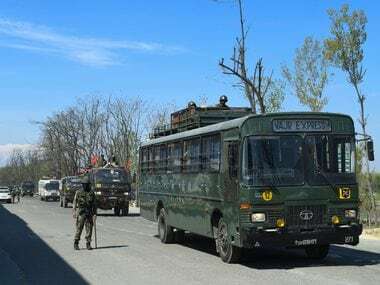 The police and defence officials said that one militant was killed in the encounter while three civilians were caught in the crossfire. 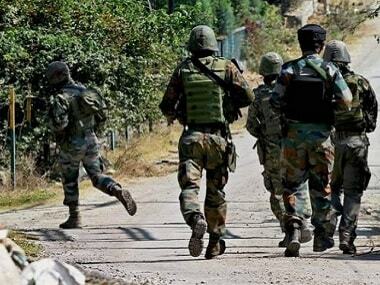 When the forces were engaging the militant, youth from the adjoining areas marched towards the encounter site. The forces resorted to the use of firearms which lead to the death of three civilians. Police and armed force personnel had alerted the people living near the house where the militant was trapped to move out to the safer locations. The police had zeroed in on the militant by taking positions at the attics of the nearby houses. Forces fired mortar shells on the house and even carried out mine blasts before the operation was declared to have ended. The house in which the militant was holed in has been turned into rubble and locals have been thronging the site since Tuesday evening. A burnt out car, broken columns of the verandah and the damaged ceiling tell of the firing that took place on Tuesday. The locals wore sullen looks and appeared to be awe-struck by the incident. Meanwhile, the police have detained the owner of the house and an investigation is being carried out. A local resident said that the forces resorted to targeted firing. "We shifted some 17 youth to the hospital, most of whom had received bullet injuries,” he said. However, SJM Gilani, Inspector General of Police Kashmir maintained that the three civilians (including Ganie) were killed in the cross firing. "The youth were disrupting the encounter despite being repeatedly warned against it. They resorted to heavy stone-pelting in which at least 70 security force personnel were injured," Gilani informed, adding that that 50 Central Reserve Police Force (CRPF) personnel and more than 25 police personnel were injured as the youth resorted to heavy stone pelting. 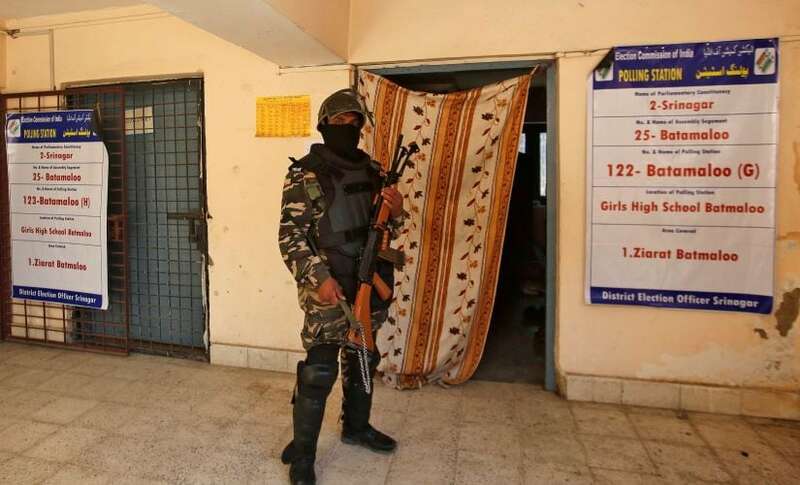 “The youth were trying to help the militant to escape from the encounter site,” he added. Local resident Ghulam Nabi Mubaraki whose house lie adjacent to the one where the militant was holed in, confirmed that they were alerted by the security personnel to move to safer areas. "We shifted to the other house, but the firing continued throughout the day till the army and police withdrew from the scene," he said. Mubaraki informed Firstpost that the window panes of his house and ceilings were also damaged during the encounter. “We learnt later that the militant who was holed inside was ill. 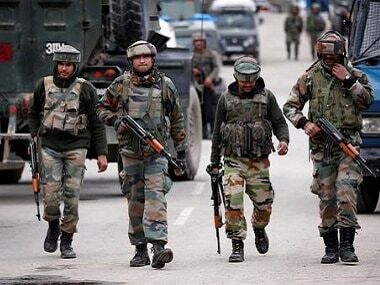 He had received fire at Shopian and the police and army could have easily arrested him and there was no point resorting to the use of mortar shells and the mine blasts," he added. Roads in Durbug remained deserted on Wednesday as well since no traffic movement was observed and pieces of brick and stones were strewn on the bridge that connects the area to nearby villages. On the Srinagar-Chadoora road, the youth had laid blockades using branches of trees, rocks and the drainage pipes to prevent the movement of traffic.